A picture I took while in Japan has been receiving a lot of comments on Facebook, so I thought I would share that here today. 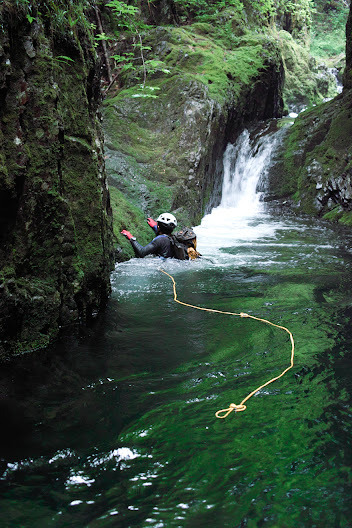 This image was taken in a remote mountain stream in Japan, while engaging in the activity they call “shower climbing”, where, dressed in wetsuits and sporting climbing equipment, we rappelled some waterfalls and climbed others in the pursuit of rare native Iwana. At this particular spot I found myself alone, but with a gorgeous background. Not to miss the moment, I used the self-timer, placing the camera on a rock, and trying to make my way to the rock I had been fishing from a few moments earlier. 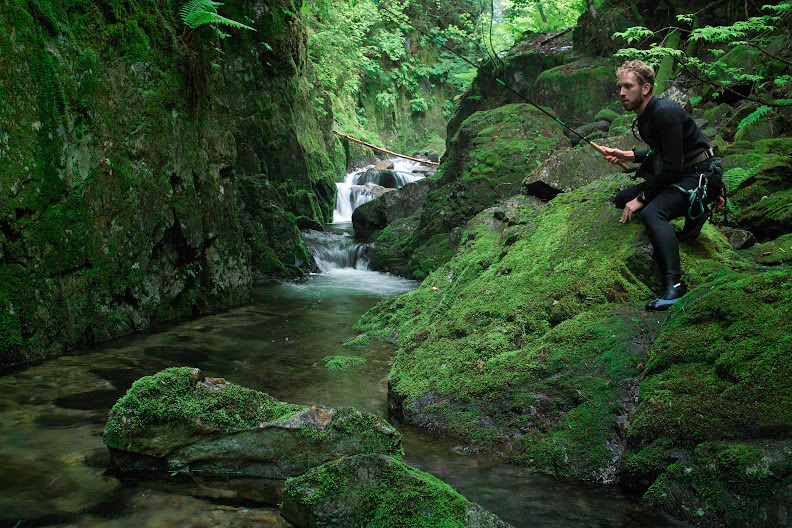 The fish in this session eluded me, but the spirit of the adventure was certainly captured. This adventure inspired me to write a full story, which I titled “In Search of Tenkara” and is the main feature story in the upcoming issue of The Fly Fish Journal. So, keep your eyes open, we’ll make a big announcement when that issue is out in the next couple of weeks. Beautiful how many fish did you pull in that run Daniel ?? In that exact spot none, but right upstream probably 4, and a couple downstream. We then fished about 3 miles of stream, catching countless fish.